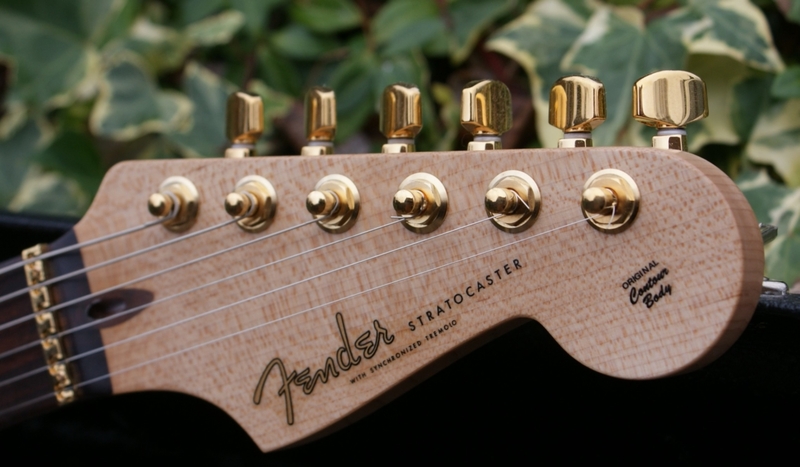 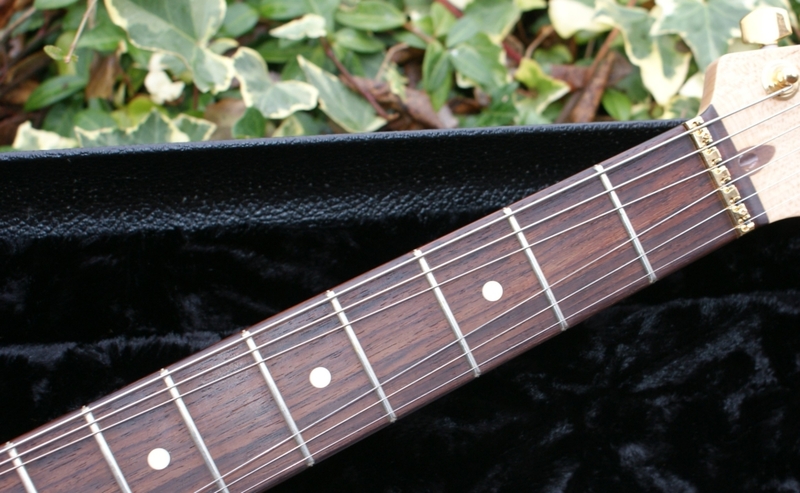 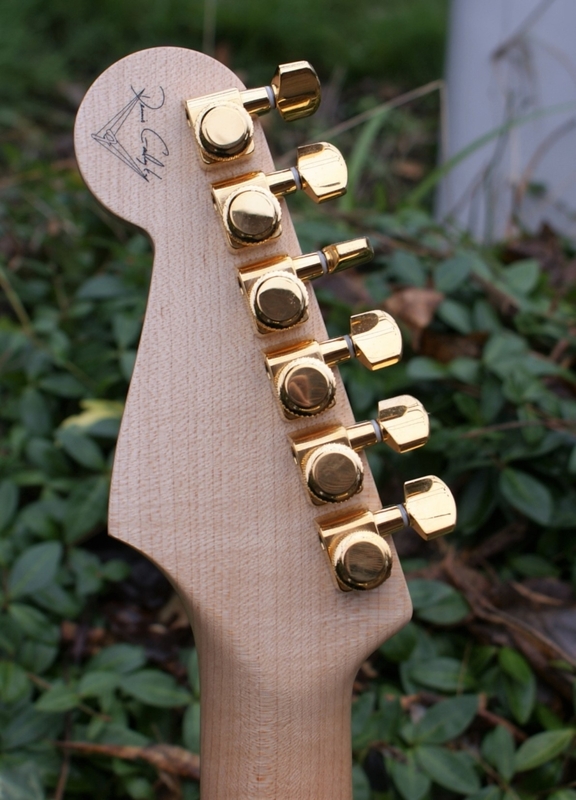 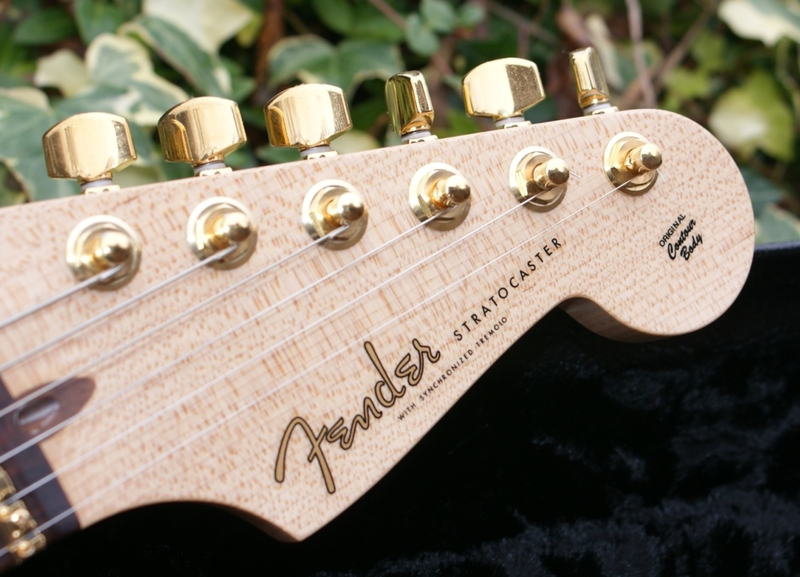 Neck: Modern ‘C’ Shape Maple / 1 piece 5/4 quarter sawn hand selected, high grade. 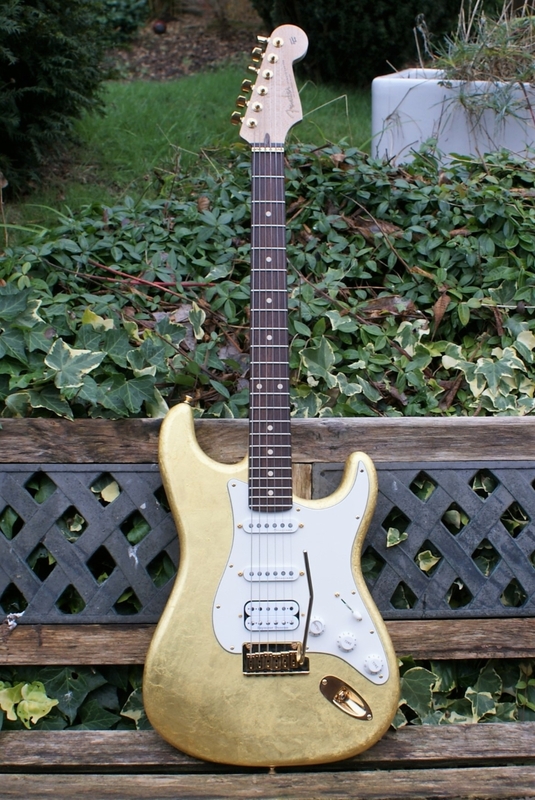 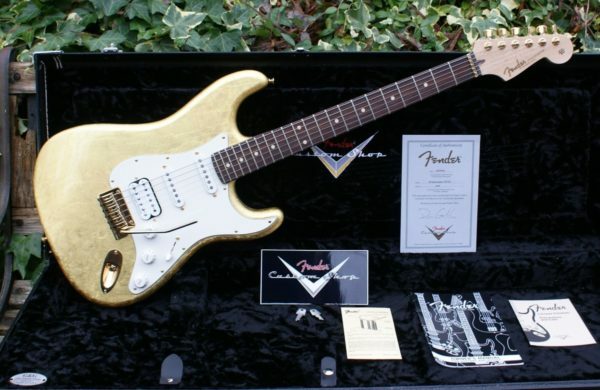 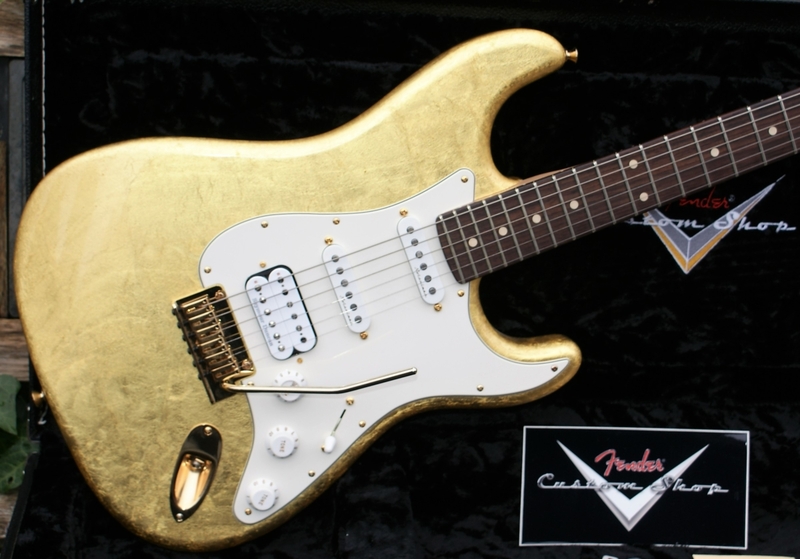 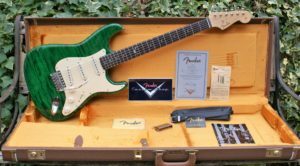 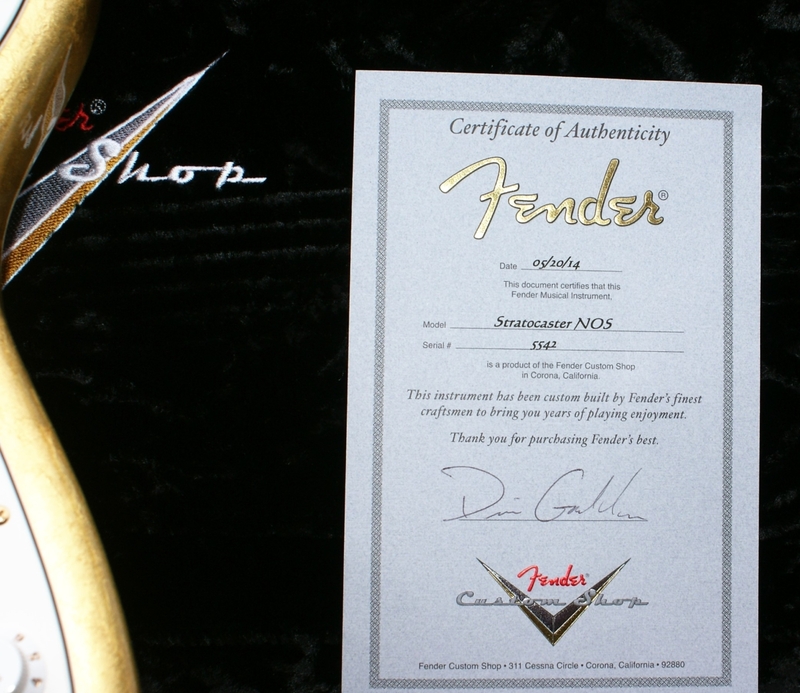 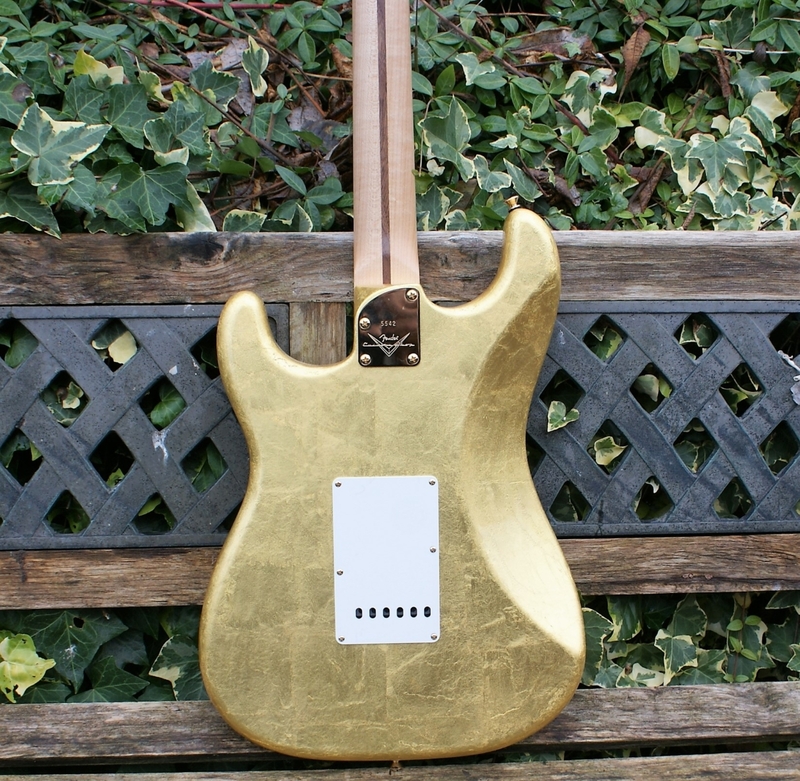 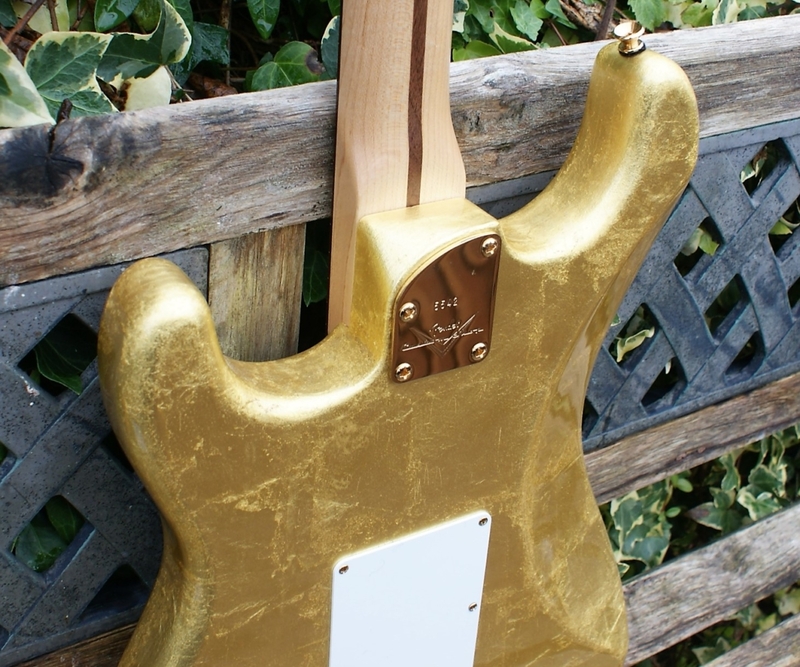 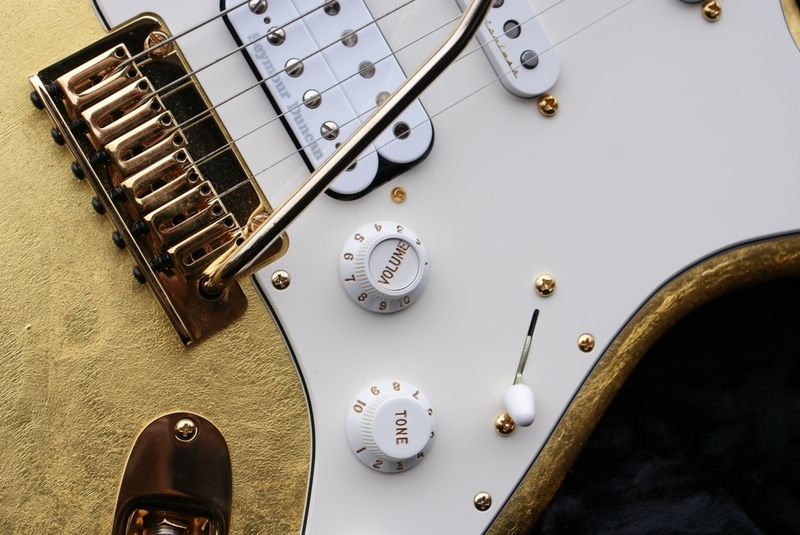 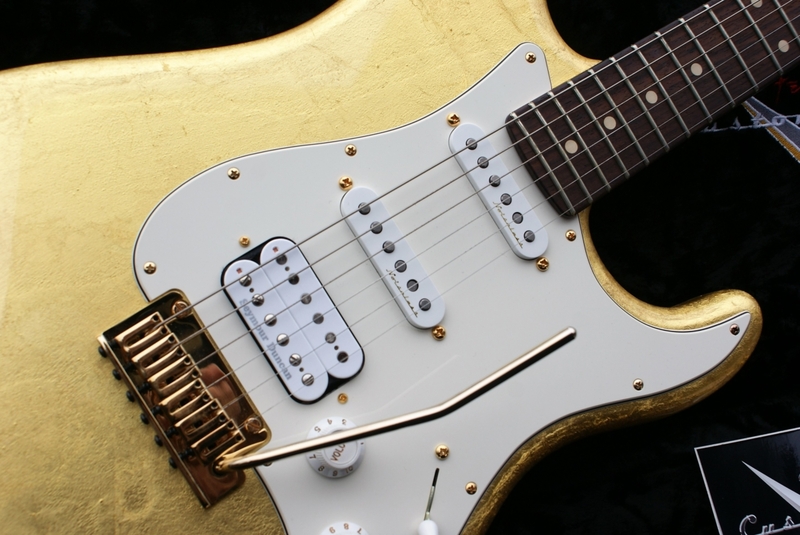 ‘GOLD FOR SALE’ in the form of this exceptionally rare & beautiful 2014 Jeff Beck styled (Not the generic signature Beck Strat) NOS Fender Custom Shop Gold Leaf Strat Pro. 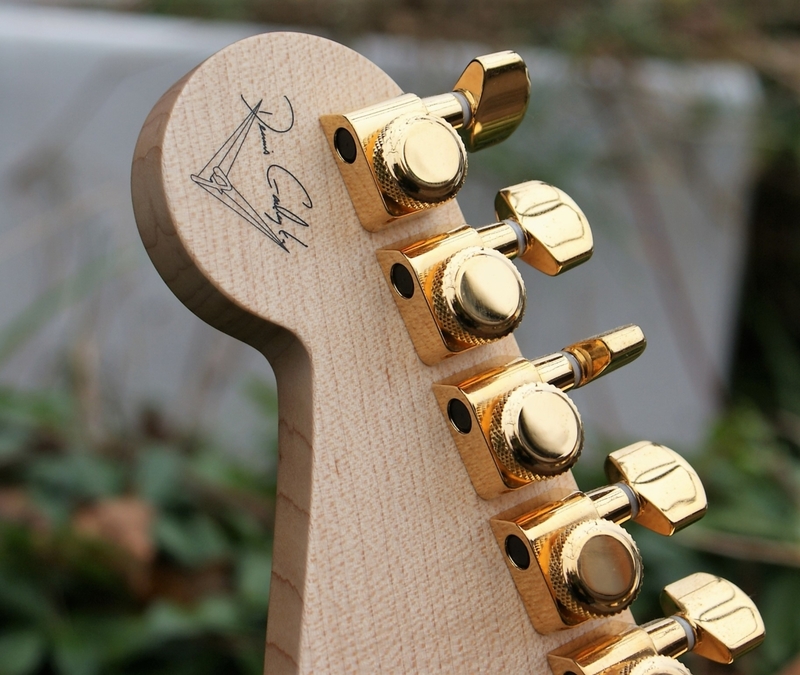 This guitar is a total one-off build & was built for the Namm show in 2014, built by master Luthier Dennis Galuszca. 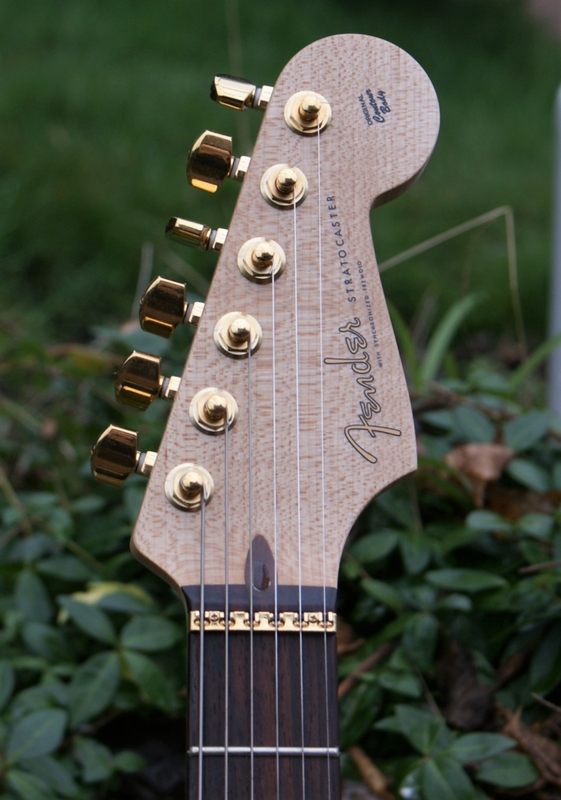 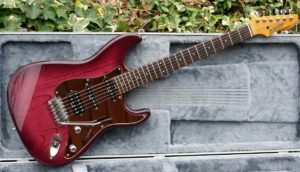 Plays exceptionally well with her custom compound radius fingerboard & med/jumbo frets, which makes for effortless playing right up the neck. 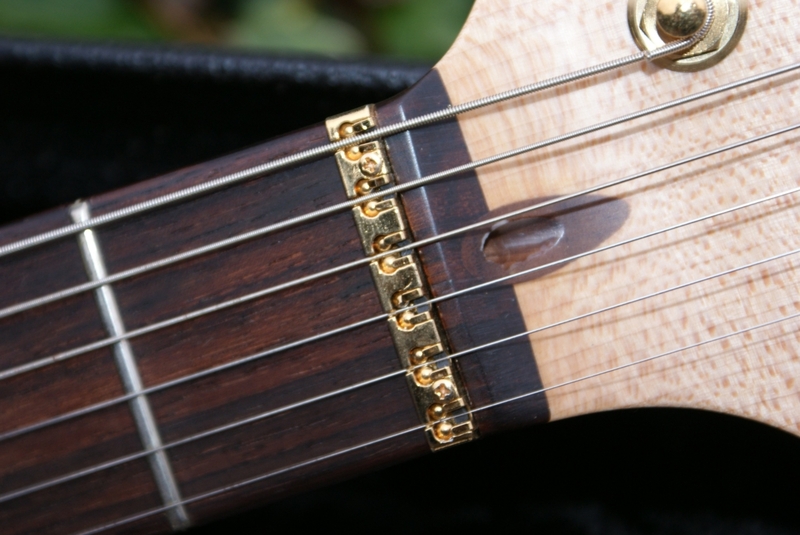 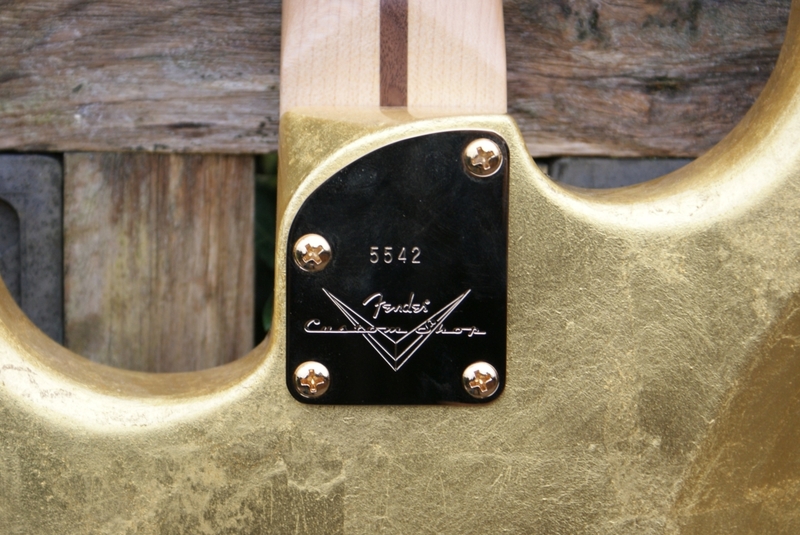 The neck is a one piece 5/4 quarter sawn piece of hand selected, high grade maple. 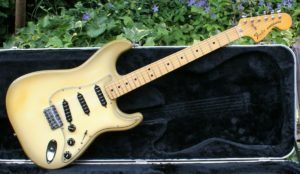 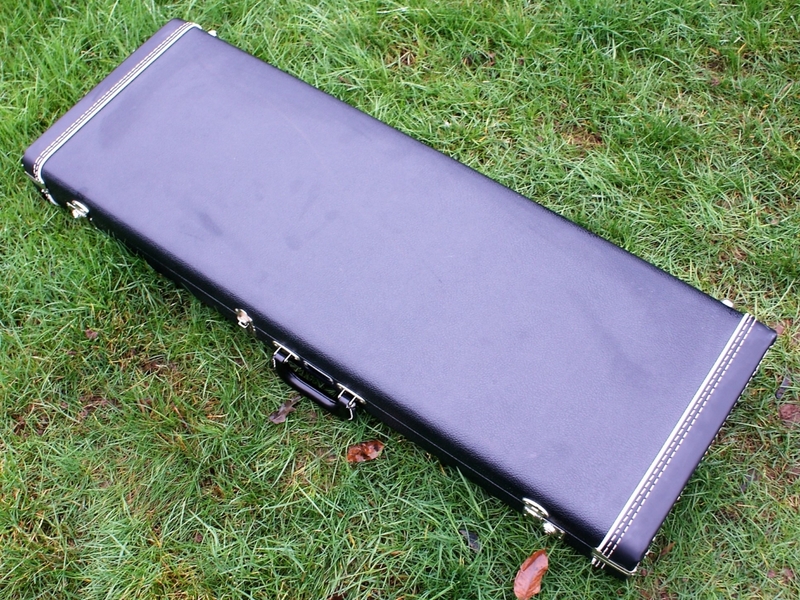 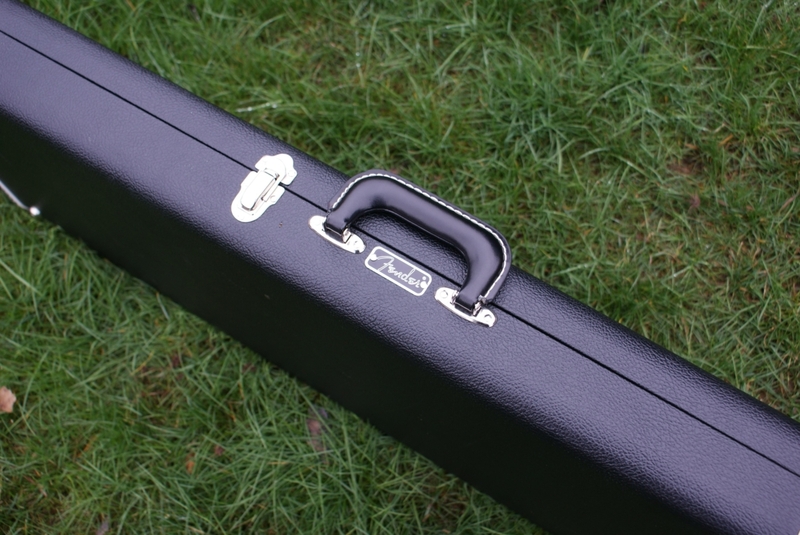 The pickups are a Seymour Duncan SH4 Jeff Beck Bridge Humbucker & 2 x NF Noiseless Single coils in the mid & neck positions & the volume encompases the S-1 switching for great coil tap/phase tones (Please refer to the features section for full specification) She sleeps in her original black Tolex case. 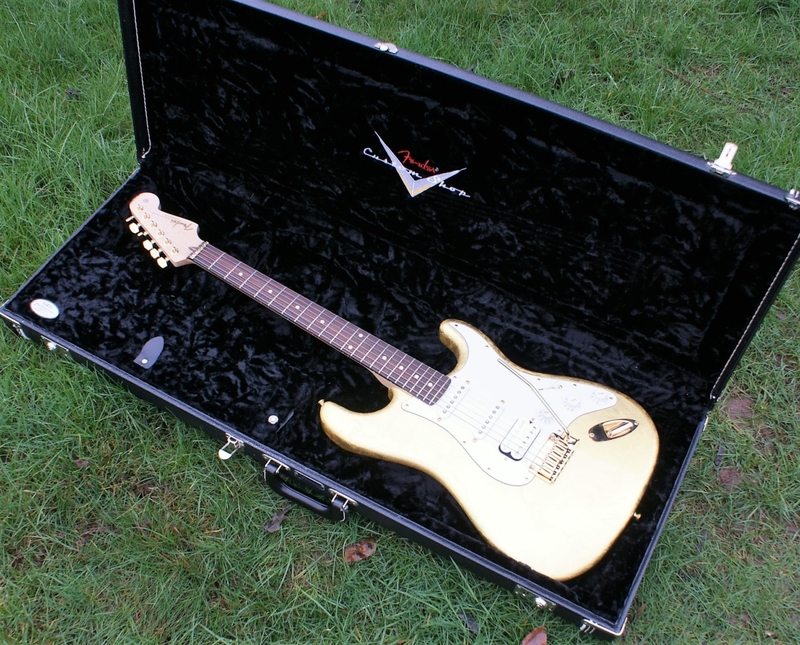 Originally listed at over £6,000. 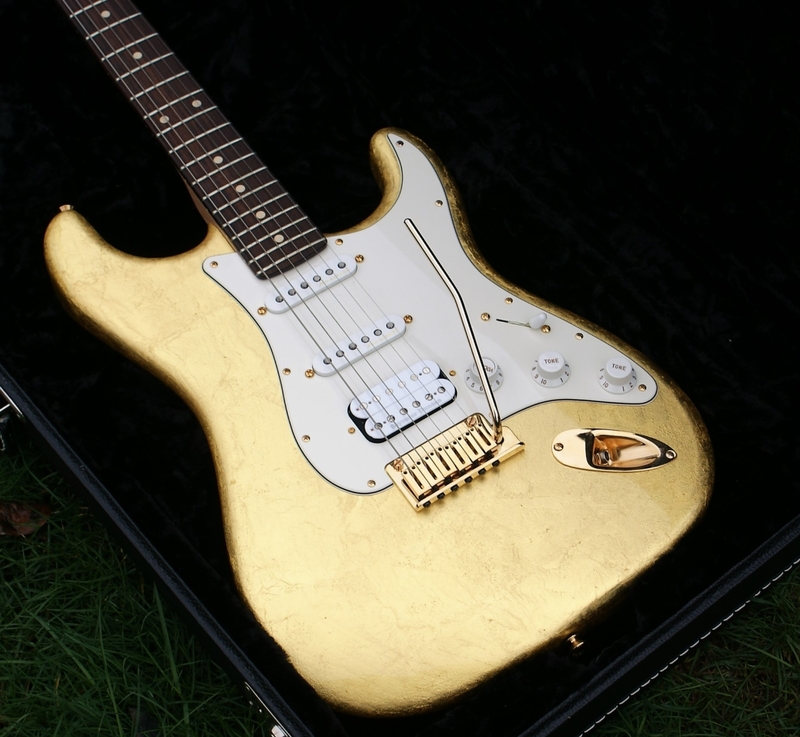 You will not come across another, so snap this golden girl while she is in arms reach!